During a period of change, your diet and lifestyle play a big part in your overall wellbeing. 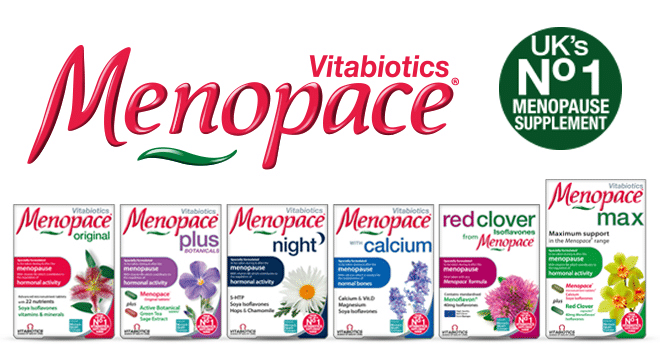 Menopace® is an advanced range of supplements, designed by Vitabiotics experts to provide you with effective daily nutritional support. 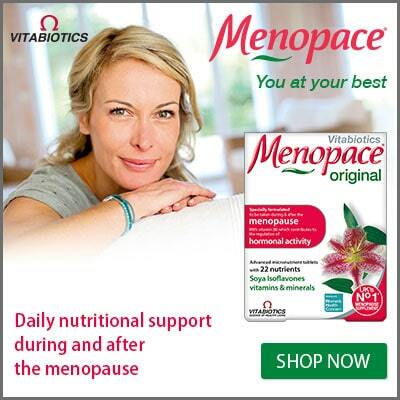 Menopace® has been used and trusted by thousands of women all over the world for more than 25 years. Menopace Original is an effective formulation of 22 nutrients including moderate dietary levels of Soya Isoflavones, plus vitamin B6 which contributes to the regulation of hormonal activity and iodine which contributes to normal production of thyroid hormones and thyroid function. To help maintain normal bones, Menopace Original provides magnesium, zinc and vitamin D. Vitamin D also supports the normal absorption and utilisation of calcium from the diet. Menopace Plus combines the benefits of Menopace Original plus an Active Botanical tablet providing extra Soya Isoflavones, sage and green tea. Menopace Night has been formulated to be taken before sleeping, with Chamomile, Hops and Hydroxytryptophan (5-HTP). Menopace Calcium combines the Menopace Original formula with 700mg calcium and additional vitamin D to help maintain normal bones. Menopace Max provides the maximum support in the Menopace range, providing the Menopace Calcium tablets and Red Clover tablets in a convenient dual pack. Red Clover tablets from Menopace are designed to be taken alongside any other product in the Menopace range* and provide 40mg of Menoflavon Red Clover Isoflavones plus Green Tea extract. * Red Clover is not required in addition to Menopace Max which already includes Red Clover capsules.